On Friday, 02-15-19 at 1:26 a.m., Officer Brenes was dispatched to the Shell Gas Station on Hillside Boulevard on the report of a transient male asking customers for money and refusing to leave. Officer Brenes responded and saw the subject walking away from the store. The officer informed the subject that she had received a complaint about him and told him not to return. At 2:48 a.m., Officer Brenes and Officer Dhaliwal were dispatched back to the gas station and were advised the male returned to the store and was refusing to leave. The officers informed the subject if he did not leave, he would be arrested for trespassing. 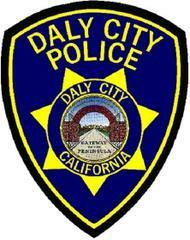 The subject said he understood and walked towards the Colma BART station. At approximately 3:24 a.m., both officers were dispatched again to the Shell station, and the reporting party said the subject was asking customers for money. The officers arrived and placed the 43-year old transient subject under arrested for trespassing, as well as for an outstanding warrant for possession of drug paraphernalia. On Saturday, 02-16-19 at 1:54 a.m., Officer Chow and Officer Covarrubias were dispatched to the rear of the 76 Gas Station on South Mayfair Avenue on a report of a homeless subject drinking alcohol and having pitched a tent. When the officers arrived, they met with a male who was sitting on a chair next to a tent. The subject handed Officer Covarrubias a pair of nunchakus from inside of his jacket pocket and said he had found them and had them in his possession for self-defense. The officer asked the subject if he had anything illegal on his person, and the subject advised he had a pipe in his waistband and a small baggie in his sock. Officer Covarrubias found both items, as well as a wallet that contained an identification card not under the subject’s name. The 45-year old subject was arrested for possession of nunchakus, possession of a controlled substance, possession of narcotics paraphernalia and for misappropriation of lost property. On Saturday, 02-16-19 at 9:35 p.m., Officer Cain and Officer Chow were dispatched to the unit block of Palmdale Avenue on a report of loud music coming from a vehicle. The officers arrived and spoke with a subject who was sitting in his vehicle, playing music extremely loud with an open case of beer in the passenger seat. Officer Cain asked the subject to roll down his window, and he immediately smelled a strong odor of alcohol emanating from the vehicle. The subject advised he lived at the residence he was parked in front of. The officer found out the 34-year old subject was on probation for public intoxication and advised the subject he should not be intoxicated behind the wheel of a vehicle with the keys in the ignition. Officer Cain asked the subject to exit his vehicle and go back inside his house. The officers escorted the subject to the door as the subject had an unsteady gait. At approximately 10:51 p.m., Officer Cain and Officer Ciucci were dispatched to the same address because the same subject was back outside of his parked vehicle, playing music extremely loud. Officer Cain spoke to the subject’s roommate who said the subject was acting belligerent and was being aggressive towards his roommates. Officers placed the subject under arrest for public intoxication. On Sunday, 02-17-19 at 3:00 p.m., Officer Gill conducted a traffic stop on a vehicle on 90th Street near Sullivan Avenue. The passenger was on probation and was subject to being searched. Officer Gill searched the subject’s vehicle and found a backpack containing stolen mail, as well as four sets of master P.O. Box keys. After an investigation, Officer Gill arrested the passenger, a 42-year old Stockton resident, for conspiracy to defraud a person, appropriation of lost property, obtaining person identifying information for unlawful use, possession of burglary tools and for receiving stolen property. Officer Gill also arrested the driver, a 44-year old Stockton resident, for conspiracy to commit a crime. There was one robbery during the past week. On Wednesday, 02-13-19 at 1:03 p.m. a UPS delivery person and the AT&T store on Gellert Boulevard were the victims of a robbery when the UPS delivery person was pushed from behind while he was delivering packages to AT&T. The 36-year old victim said he felt a push to the back, turned around and saw two black male subjects. The victim said the subjects grabbed packages and fled in a red BMW. This investigation is continuing. There was one residential burglary during the past week. Between 5:00 p.m. on Saturday, 02-16-19 and 7:15 p.m. on Monday, 02-18-19, an unknown suspect used a slip device to the side entrance door of a detached garage at the apartment complex at 1001 San Antonio Circle and stole five high-end bicycles. The victim provided the serial numbers to be entered into the automated property system. There were four commercial burglaries and one attempted commercial burglary during the past week. Between 4:30 p.m. on Monday, 02-11-19 and 7:12 a.m. on Tuesday, 02-12-19, an unknown suspect burglarized the parking garage at 2 Coronado Avenue and took over $3600 worth of tools. On Thursday, 02-14-19 at approximately 3:28 p.m., an unknown suspect entered the Old Navy store, grabbed 22 pairs of jeans on display for sale and walked out of the store without attempting to pay for the items. The subject fled in a black Mercedes. This investigation is continuing. On Saturday, 02-16-19 at approximately 3:14 a.m., the Uber business on John Daly Boulevard was burglarized by two subjects who smashed a window to gain entry. The subjects stole three Apple MacBook Air laptops and two Apple computer monitors. The subjects were only described as black males in their 20’s, one subject wore a dark colored mask or bandana, camouflage jacket, torn blue jeans and black and orange Nike Air “Foamposite” shoes, and the other subject wore a black hooded sweater, black pants and black and white shoes. On Sunday, 02-17-19 at approximately 1:50 a.m., an unknown suspect forced open the southern exterior door at the Skyline Plaza shopping center. The subject then pried open the cabinets of the Royal Ruby Novelty jewelry booth and stole miscellaneous property. The subject fled the shopping center after activating the booth’s security alarm. Between 10:30 p.m. on Sunday, 02-17-19 and 6:50 a.m. on 02-18-19, an unknown suspect attempted to pry open the front door to the Tani’s Kitchen restaurant on Park Plaza Drive. No entry was made. There were 14 vehicle burglaries during the past week. •	McDonald’s parking lot on Geneva Avenue—a backpack containing paperwork was taken from a 2015 Honda Odyssey. The passenger side sliding door was smashed. Occurred on 02-13-19 between 8:00 p.m. and 8:15 p.m.
•	Koi Palace parking lot—two backpacks containing an Acer laptop and two passports were taken from a 2018 Dodge Caravan. The left rear window was smashed. Occurred on 02-15-19 between 12:00 p.m. and 1:30 p.m.
•	Serramonte Shopping Center parking lot near Macy’s—nothing was taken from a 2015 Lexus SUV. The right rear and right front windows were smashed. Occurred on 02-15-19 at 2:29 p.m.
•	Parking garage at 1851 Junipero Serra Boulevard—a backpack containing an iPad, MacBook and books was taken from a 2012 Toyota Prius. The right rear window was smashed. Occurred on 02-15-19 between 3:00 p.m. and 5:00 p.m.
•	McDonald’s parking lot on Geneva Avenue—a Tumi backpack containing a Lenovo laptop, Bose headphones, Verizon Wi-Fi connector and miscellaneous clothing was taken from a 2019 Ford Fusion. The left front window was smashed. Occurred on 02-15-19 between 7:38 p.m. and 7:44 p.m.
•	Koi Palace parking lot—a backpack containing an Apple MacBook Pro, Texas Instruments calculator and a textbook was taken from the trunk of a 2018 Tesla Model 3. The right rear window was smashed. Occurred on 02-15-19 between 7:00 p.m. and 9:00 p.m.
•	Skyline Plaza parking lot near Sophia’s Salon—an empty purse and several bags of clothing were taken from a 2011 Mercedes SUV. The right rear window was smashed. Occurred on 02-15-19 between 11:30 a.m. and 9:45 p.m.
•	900 block of Higate Avenue—a “Cookie” brand backpack containing an Apple MacBook Air, an iPad, and an Amazon Kindle were taken from the trunk area of a 2009 Ford Edge. The rear window was smashed. Occurred on 02-15-19 between 7:00 p.m. and 10:00 p.m.
•	Outback Restaurant parking lot—nothing was taken from a 2018 Tesla Model 3. The right rear window was smashed. Occurred on 02-15-19 between 7:49 p.m. and 9:15 p.m.
•	Home Depot parking lot—a North Face backpack containing $300 and toiletries was taken from the front seat of a 2016 Ford Focus. The front passenger window was smashed. Occurred on 02-16-19 between 8:00 a.m. and 1:49 p.m.
•	100 block of Crestwood Drive—a Razer laptop was taken from a 2016 Dodge Challenger. The left front window was smashed. Occurred on 02-16-19 between 8:00 a.m. and 9:00 p.m.
•	Eastmoor Avenue/Camelia Drive—clothing and a work badge was taken from a 2013 Honda Accord. The right rear window was smashed. Occurred on 02-17-19 between 12:05 a.m. and 5:20 a.m.
•	St. Andrew’s Church parking lot—a purse containing a Gold iPhone X, Apple air pods and miscellaneous items was taken from a 2011 Toyota Camry. The front passenger window was smashed. Occurred on 02-17-19 between 9:30 a.m. and 10:30 a.m.
•	100 block of Coronado Avenue—nothing was taken from a 1991 Toyota Tacoma. The front passenger window was smashed. Occurred between 8:30 a.m. on 02-16-19 and 7:30 p.m. on 02-18-19. There were four vehicles stolen during the past week. Two were recovered. •	400 block of Eastmoor Avenue—a 2001 Acura Integra. Occurred on 02-13-19 between 9:00 a.m. and 10:00 a.m. **The reporting party knew who stole the car, and the subject returned the car the following day. •	Unit block of Westpark Drive—a 2012 Cadillac SRX. Occurred on 02-13-19 between 3:00 a.m. and 8:07 a.m.
•	500 block of South Hill Boulevard—a 2017 Toyota Sienna. Occurred on 02-15-19 at 4:56 a.m. *Recovered by San Francisco P.D. on 02-16-19. •	Parking garage at 275 Park Plaza Drive—a 2016 Toyota Corolla. Occurred between 11:00 p.m. on 02-14-19 and 7:00 a.m. on 02-19-19. Do you have any household cleaning products, propane tanks, garden chemicals, paints, paint thinners, fluorescent lights, used motor oil and oil filters, batteries, fertilizers, pesticides you need to dispose? These products are often labeled as toxic, poisonous, combustible, corrosive, flammable or irritant. Daly City residents can safely dispose of these items free of charge at a special drop-off collection event on Saturday, March 9th. To participate, residents must schedule an appointment at San Mateo County’s Household Hazardous Waste (HHW) program: www.smchealth.org/hhw or by calling (650) 363-4718 and selecting option 3. The exact location and directions will be provided after you make an appointment. There is a restriction of 10 gallons or 50 pounds per appointment based on transportation regulations. NO business waste. It is unlawful to dispose many types of common household waste into landfill-bound residential and commercial garbage receptacles. On Saturday, March 30, 2019, from 11:00 a.m. to 2:00 p.m., the Daly City Peninsula Partnership, Jefferson Elementary School District and Jefferson PTA will be hosting their 17th annual Free Family Literacy and Health Day for students from all schools throughout Daly City and Colma. This event will be held at Susan B. Anthony School, and they will be offering free books, free lunch, raffle prizes, entertainment and activities designed for a day of fun for the entire family. They are also seeking donations of the following items: cash or gift card donations toward the event, raffle prize items for youth or adults, food donations, bookmarks, pencils, pens, educational materials, and children’s books. If you are interested in donating, please e-mail Michelle at michelle@dcpartnership.org. Have you signed up to receive these alerts? This alert is a free digital communication system used by emergency management agencies and first responders to send emergency alerts, notifications and updates to portable digital devices. In an emergency situation, an alert will be sent by San Mateo County authorized personnel and you will receive messages on your cell phone or mobile device. Most carriers activate the service automatically. To receive emergency alerts, sign up by visiting www.smcalert.info .According to County records, Daly City has the lowest number of registered users in the county. Please sign up today!